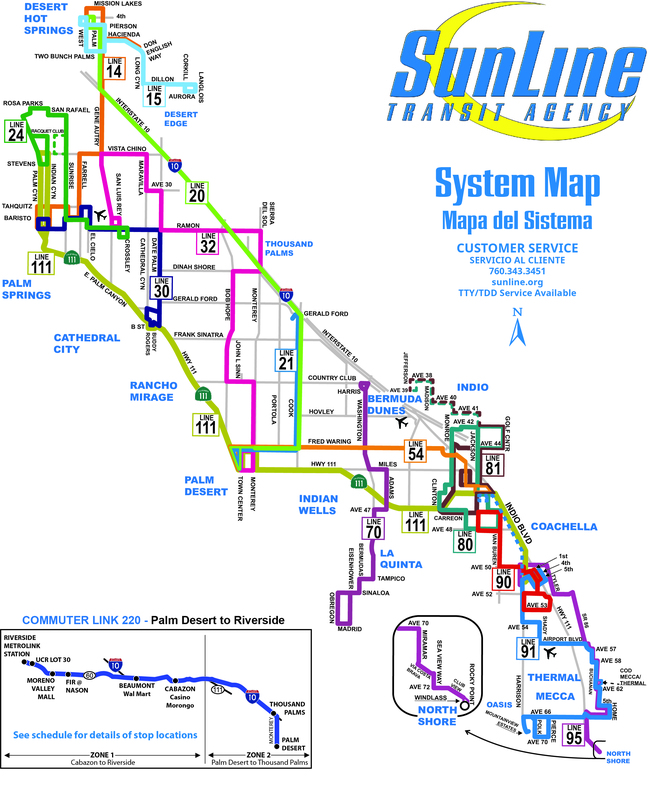 SunLine Transit Agency is conducting a year-long comprehensive network analysis and redesign study of its transit operations in the Coachella Valley region to identify areas of improvement for fixed route and paratransit bus systems. The Study provides opportunity for SunLine to evaluate existing services and adapt to evolving community needs and travel behaviors, resulting in an improved transit system that will carry us successfully into the 21st century. If you have any feedback, ideas or concerns about our current bus system, please fill out our customer feedback form and submit it to us. Throughout the Study, the public and regional stakeholders will be asked to participate and provide valuable input that will feed the development of a plan that meets the needs of local communities. The first stage of our analysis, the online survey, has been completed. The desired end result of the study is to have an improved system with near and long term projects for implementation. The study will review the entire SunLine system area, which includes all nine cities and seven unincorporated communities in Coachella Valley. SunLine’s local fixed route network, SunBus, currently consists of 16 routes, including 15 local routes. We welcome and encourage you to stay involved with the development of the plan. Please complete the contact form, if you would like to sign-up to receive regular e-blast notifications and learn about upcoming public meetings or other events. For additional information, you may also call (302) 655-4353.